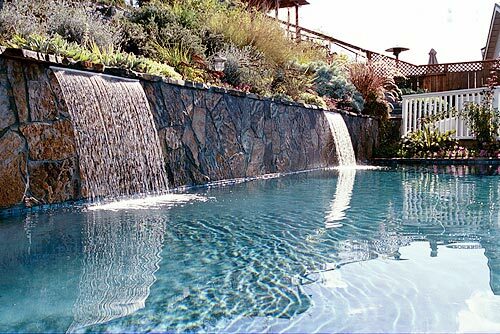 There is almost nothing more delightful, romantic and soothing than the sight and sound of a waterfall by the pool. Check out some of our exciting water features. From artistically hand carved rock, in pool lounge areas, beach entryways, or actual hand painted mural artwork, your new Custom Pool will be stunning and unique. Our design team is expertly trained in designing a pool that will fit your family's needs and your budget. Ready for a swimming pool remodel or new installation? Custom Pools & Remodeling by Shannon W. Stevens, LLC is a Tampa Bay Area pool builder who sets a higher standard in pool construction and pool remodeling industry. Handling both residential and commercial jobs throughout the Bay Area, including Pasco, Pinellas and Hillsborough counties. This company is fully bonded and insured, utilizing only fully licensed and trained professionals and backed by 40 years of experience in pool construction. The company's mission statement is simple "Build it right…the first time". 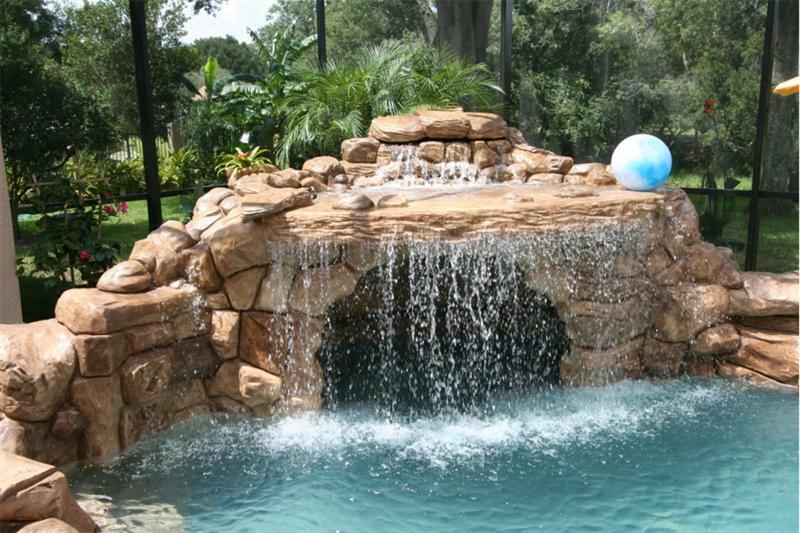 Custom Pools and Remodeling is proud to be one of Tampa's premier builders, specializing in major renovation and new construction. As well as holding the highest license the State of Florida gives to pool contractors, they specialize in building a safer, more efficient swimming pool. Making older outdated pools new and more efficient…Add a spa, a water feature, custom deck, tile and interior. Real rock or hand carved rock waterfalls, grottos and activity areas as well as kitchen and fire pit social areas. Building and major renovations of commercial pools and spas in the greater Tampa Bay Area. Are you ready to build your dream pool and spa? Call us today to find out how easy it can be to make this a reality. A name long known in the swimming pool industry is proud to bring you affordable pricing and solutions to all your construction needs.